If you haven't heard the news, the Walt Disney Company has bought Lucasfilm. Now where have I heard people talking about something like that happening? 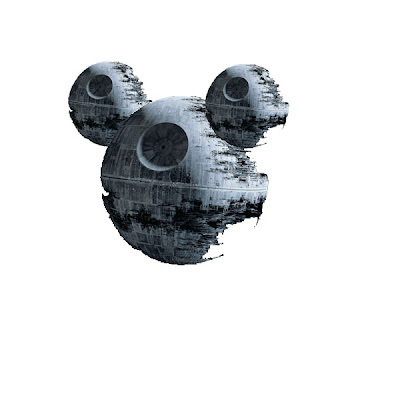 We can only hope that Disney will use some of the vacant land in Florida to do a dedicated Star Wars park. i have no words... it's amazing... your dream comes true! I will never ever see it happen! when I read it the first thing I did was to come here and write.. you are a prophet! What about the Indiana Jones Franchise? - Does the LucasFilm purchase include rights to Indiana Jones? - What do you think the impact will be (if any) on the development of "Avatar Land" at Animal Kingdom? Dude, you can predict the future! I am getting giddy right now, Lucas knows that the Star Wars legacy must be passed on to good hands when time passes on. The announcement of a new trilogy also shows that Lucas wants to right the wrongs of the prequels and leave off on a good note in the cinematic universe.. unless Disney is planning film spin-offs? What does this mean for Indiana Jones? Could this actually be Disney's version of James Bond and greenlight reboots every few years? The deal includes Indy but I believe Paramount still has a contract to distribute any future Indy films. Same as Spidery At Sony and Ximenes at Fox. But Disney still owns the characters. You are the only one I have read over the past year who has predicted this. I can't tell you how giddy I am. Perhaps in a follow up you can answer the following questions. 1) Does the sale include Lucasarts? Lucasarts is a separate company from Lucasfilm but the press release talked about video games. 2) Does this mean Marvel will take over the Star Wars comics from Dark Horse? 3) Now that Disney is in Legoland ala Star Wars does it stay since Lego and Disney has a good relationship? 4) Does Disney XD finally get Star Wars Clone Wars (I hate seeing all of the other crappy cartoons on the CN during commercials)? 6) How does this affect Fox's involvement with Star Wars? Brad Bird writing and directing Star Wars. I'm there. Not looking forward to this. ANOTHER Disney purchase? Can't they create anything on their own anymore? Disney is becoming more and more of a broker now instead of a content creator. Instead of adapting great stories into Disney versions, they appear to be focussed on just sticking the Disney name on other companies' works. Just remember folks, from this day forward it will forever be known as "Disney's Star Wars"
Honor, I think it is now time to change the name of your blog to "Blueskywalker Disney"
Can't they create anything on their own anymore? You mean like Snow White? Perhaps Cinderella. No, must be Marry Poppins, or even the venerable Mr. Toad. So what will the land be called? A Galaxy Far Far Away...? This will be the next phase of Hollywood Studios. ""Not looking forward to this. ANOTHER Disney purchase? Can't they create anything on their own anymore? Disney is becoming more and more of a broker now instead of a content creator."" Walt Disney built his legacy on Adaptations. That is all. Had I never seen it suggested here, yesterday's announcement would have been a shocker. As it stands now: congrats Honor. There's a huge difference between ADAPTIONS and BROKERING. Putting your brand on someone else's product does not make it part of your legacy. All the Marvel, Pixar and now Lucas properties will now just have the Disney name attached. There is no actual DISNEY aspect to any of them. But now Disney will be trying to shoehorn those disparate properties into their parks and ""synergizing" the hell out of them.